How many of your social interactions remain on a relatively shallow small talk level? How many of your business conversations are focused on the It-level only? Or you talk about other people (i.e. not present in the conversation), but hardly go deeper on the I-dimension? What would be a personal and vulnerable topic that you are longing to share with someone if only they were trustworthy and kind? 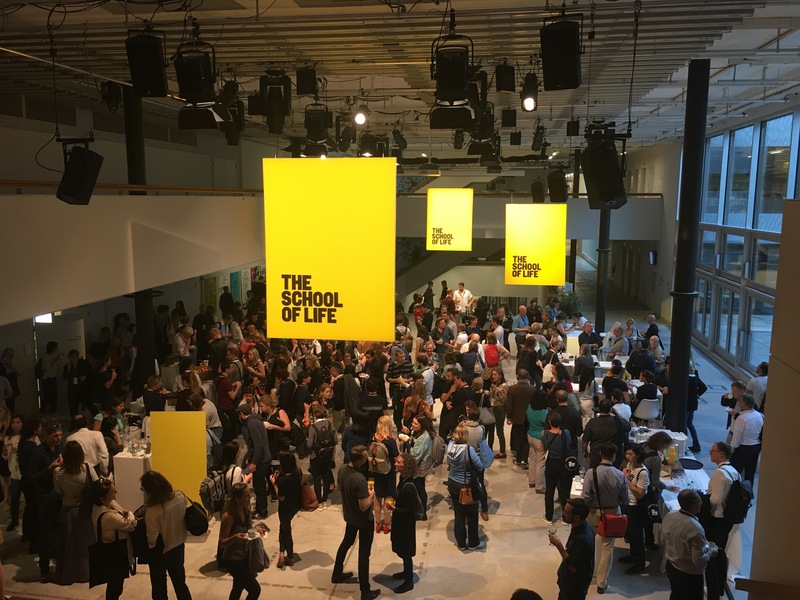 I recently attended a conference of ‘The School of Life’ founded by the British-Swiss philosopher Alain de Botton, where this type of questions were addressed and practical guidance was provided. Alain de Botton starts with the basic assumption that we are all sinful, broken and imperfect; this insight should lower the pressure of being perfect. He quotes Immanuel Kant: ‘Aus so krummem Holze, als woraus der Mensch gemacht ist, kann nichts Gerades gezimmert werden' – 'Out of the crooked timber of humanity, no straight thing was ever made'. And therefore, he suggests that "sane insanity" is the best we can be, somebody who knows that we are imperfect. We can choose to have more superficial conversations about where do you live, where do you come from, where are you going on holiday, what you have seen or read. Or we can go deeper on questions around what you love, what you regret, what you fear, what you hope for, what you are sad about. And when we engage in the latter type of conversations there is connection and real life happening. "I am human, nothing human is foreign to me"
Some of you are trying to keep personal and business life separate, and would never engage in conversations about the above-mentioned ‘problems’ in a work context. Let me share a recent work-related experience: During an executive workshop a year ago a leadership team concluded that they needed to significantly up their game on the digital front. As a consequence, a total of 40 digital projects were launched in the course of the year. The theme for this year’s workshop was to prioritize those initiatives in order to be able to staff and resource them properly. People were apprehensive prior to the workshop fearing that colleagues would defend their pet projects, that there would be winners and losers. As usual we started the workshop with a check-in round: How are you? What is on your mind? What are your expectations for the workshop? The second person in the check-in round, Maria, shared that this was her first day of work after 5 weeks at the hospital bed of her husband who had been undergoing a lung transplant with significant complications. Progress had been slow which is what was predominantly on her mind. She also shared that she was glad to rejoin the group today and continue her work as life was going on. Her vulnerability opened people’s hearts and the check-in round led to a series of deep personal sharing about family situations, dealing with dementia of their aging parents, educational challenges, career concerns etc. Instead of the planned 20 minutes, the check-in took us more than an hour to complete. When we eventually got to the task of prioritizing the digital projects we formed threesomes that walked along a gallery of 40 posters on the wall describing the virtues of each of the projects. The teams assessed potential, risk, resources needed, time lines, and after three hours we had a robust prioritization, assignment of responsibilities and resources. The process went as smooth as it could get, and we were all in awe about the ease and professionalism of the process. No pet projects, no fights, no judgments, just focus as a team on the task at hand. In the above-mentioned workshop Maria felt safe to share her current situations and sorrows, her vulnerability created a deep connection in the room, and in that energetic field the purpose of the team was served in a professional, responsible and human way. High performance in action, the It-We-I coming magically together. Alain de Botton at the recent School of Life conference created a similar moment and experience. He asked all of us to anonymously write on a piece of paper ‘something personal and vulnerable that we are longing to share with someone if only they were trustworthy and kind’. He collected the answers and read them out. While we were listening to these stories, sorrows, dreams, even without talking, we grew closer to each other. We all felt connected on a deeper level, as we experienced the essence of humanity and sharing life. As we approach the end of the year, and the accompanying dinners and events in both professional and family contexts, I invite you to address topics of universal identity. Spare yourself talking about Trump, stock markets, or next year’s economic growth; there is a fair chance that you won’t be able to change them anyway. Instead engage with the people around you in the all so worldly topics of anxiety, loneliness, lack of meaning, difficult relationships and health. In my family I have started to do a check-in round at Christmas and New Year’s Eve. My girls start rolling their eyes: ‘here comes daddy again with his business tools’; and yet, once the initial awkwardness is overcome, we are touched by humanity when a 84 years old reflects on the year or a 14 years old shares her dreams. I would also encourage you to check out ‘The School of Life’. Alain de Botton’s team is filling a void around life skills that we are neither taught at school nor at university, let alone in big corporations: self-awareness and understanding, relationships, work, purpose, emotional intelligence. They offer a beautiful set of tools, books, courses and summer schools. Wishing you courage and depth of connection. Be well and take good care of yourself and your loved ones.